Once your company is incorporated, you have to think of opening a corporate bank account with one of the local or international banks in Singapore. Opening a corporate bank account in Singapore is a simple and quick procedure. The important thing is that you have to choose the bank which offers corporate accounts features which can fulfill the banking needs of your company. Certified True Copies of Passport (or Singapore IC) and Residential Address Proof of Directors, Signatories, and Ultimate Beneficiary Owners. If you are in Singapore, just bring the originals and the bank will make a copy. Singapore banks may ask you to produce additional documents depending on the case. Generally, the majority of the banks require that the account signatories and majority directors be physically present in Singapore for signatures at the time of opening the company bank account. However, some banks will accept the signing of documents at one of their overseas branches or in front of a Notary Public. There isn’t a need to fly down to Singapore for bank account opening if you are unable to be away from your business overseas. All documents submitted must be in English. It is the duty of company to ensure that all non-English documents are translated into English language by an official translator, and certified correct by the directors of the company (by signing on every page of such documents). All original documents required should be physically produced for the Bank’s inspection. If unavailable, such documents could be certified true copies by a Company Director or Company Secretary or Notary Public or Chartered Accountant or Lawyer (in jurisdiction of a Financial Action Task Force Country (FATF) or EU members’ countries). The party certifying the Identity Card or Passport cannot be the Identity Card or Passport holder himself or herself. Customer is to produce original passport of Authorised Signers, Directors and Ultimate Beneficial Owners to bank staff for verification. If not, it must be certified as True Copy by a Company Director or Company Secretary or Notary Public or High Commissioner of Singapore or Chartered Accountant or Lawyer (in jurisdiction of FATF countries or EU members’ countries). The party certifying the Identity Card or Passport cannot be the Identity Card or Passport holder himself or herself. We usually recommend OCBC or DBS for BVI Bank Account opening , it will take them 3 working days to 14 days due to due diligence. HSBC: Required a physical office address and also company have to be incorporated 3 years or more and a SGD 3,000 administrative fees. Citibank: Do not open corporate bank account for newly setup BVI company. UOB: Required the director to pay a fee of 600 – 800 USD (non-refundable if company is being rejected) and to do a searcher as company is not incorporated in Singapore. The period can take up to 2 months time depending on how fast they can get the response from the British Virgin Islands side. Upon approval, the banker will then arrange for an interview with the director to sign the bank specimens. Maybank: Do not open corporate account for British Virgin Islands (BVI). DBS: Personal Banker can meet you at your location in Singapore for account opening. However, there will be a SGD500 account opening fees when meet up with the banker but if you go down personally to the branch, you do not need to pay for the SGD 500. You need to deposit 50,000 balance (Currency SGD or USD depends on you) to maintain for the main operating account. OCBC: Personal Banker can meet you at your location in Singapore for account opening. However, there are conditions for the director that is to have a 30,000 (Currency SGD or USD depends on you) balance for initial deposit & some balance to maintain. ANZ: They are able to arrange for the account opening. Being a US citizen opening a bank account is more complicated than others due to US regulation – Foreign Account Tax Compliance Act, thought it is a corporate account having a USA director and shareholder, it will face extra compliance steps by the bank. However, in Singapore we have been working with some local and international banks , we will help you make arrangement and can open a bank account and you don’t even need to be in Singapore. However, each bank has its won compliance regulations which our client still to pass. Once your company is incorporated, you have to think to open a corporate bank account with any of the local and international banks in Singapore. Opening a corporate bank account in Singapore is a simple and quick procedure. The important thing is that you have to choose the bank which offer corporate accounts features can fulfill the banking needs of your company. Certified True Copies of Passport (or Singapore IC) and Residential Address Proof of Directors, Signatories, and Ultimate Beneficiary Owners.If you are in Singapore, just bring the originals and the bank will make a copy. We are a HK-based international trading business. We are currently looking for the opening of a offshore bank account of our BVI company in Singapore. We wonder if the transaction in this offshore bank accounts will be subject to assessment by the Singapore Tax office? If you need to use the SG Company for tax treaty then COR is important and tax office is more stricter these days issuing. It may be not be cost effective to have full time staff and actual office . We will assist you to qualify the conditions . I will email you more information relating to Singapore Taxation and COR (Certificate of Resident). I am from Nigeria, I have a registered company in the state of Nevada, United States, can I open an account in Singapore or will I need to register another offshore company to enable to open an account? Or will I need to be present physically in Singapore before I can open the account? You can open a corporate bank account in Singapore as long as you meet the necessary requirements. You may still open a bank account even if you are not physically present in Singapore, you just need to be able to provide the necessary documents required. Hope this helps. I am a Pakistani citizen, and doing my business as a Financial Consultancy, all over the Globe, so I would like to establish Company in Singapore and to get open Corporate Account. I would request you to kindly guide me or help me in establishing a Company and to open the Bank Account. Thank you for getting in touch. In order to be able to better advise you, we would need to have more details regarding the nature of your business the the type of company you wish to establish. Do make an appointment with us at paulhypepage@php-cpa.com.sg and let’s discuss further. my company is Hong Kong based company .We would like to find expert service provider for offshore account opening in Singapore. Our business is international trading . Could u support to get our company bank account in Singapore. We would recommend our Incorporation with nominee director solution, which is an all in one package that includes bank account opening as well. We would also need more details about business to better advise you. Do drop us an email at paulhypepage@php-cpa.com.sg for more details and to set up an appointment with us. Thank you for getting in touch! We will be glad to assist with your company incorporation and setup. We are also able to assist you with the opening of a corporate bank account. We will email you soon about information on how to get started soon. 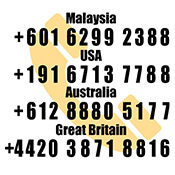 We are based in Indonesia and have incorporated companies in Hong Kong and The UK but no bank account for these companies. Can we just set up a bank account for these companies or would we have to open an offshore company with a Singapore business bank account. Please advise that if available to help us with that. Yes, it is possible to set up a Singapore bank account with your current HK and UK company. No need to set up an offshore company in Singapore. We will drop you an email with more information today. Yes, it is possible to open a bank account in Singapore with the existing BVI company. The fees will be SGD$1,200. My colleague will drop you an email shortly. for new registered offshore company, such as Hongkong or Marshall Seychelles, is it easy to open a bank acount in Singapore? I have Chinese company which operated more than five years. but i also want to make a new company. you know, it’s diffiuclt to open new account in Hongkong now. Yes it is possible. We will email you for more information to be able to advise you better. We are basically located in tokyo, Japan to operate the retail business, but we would like to open the corporate account in Singapore with our BVI. My company was recently incorporated in Singapore but I am finding it hard to open a bank account as most banks I have spoken to require to either be incorporated more than 2 years ago or would only consider to open if the company already owns a bank account, is this a recent requirement and how can a new company then expect to be able to operate? I am not sure how your company is incorporated as different form of setup of your business will affect the operational mode as well as opening of bank account. Should you need our corporate specialist services, pls fill up the contact form on our site and we will contact you shortly. We are Malaysia registered company and supply transport service for Singapore customer. Our customer wish GIRO to our company account in Singapore. Please kindly help to advise how can I open a current account in Singapore? First, we advise you visit Singapore to open your account. Singapore’s banking system is among the strongest in the world. We can also arrange a banker to meet you at the comfort of our office so you don’t have to queue. You will need a valid passport, a study or work visa, address proof like a utility bill or an official letter from your school or employer, and a reference letter from your current bank if you are a foreigner. All banks in Singapore need you to maintain a minimum balance in your account at all times. These minimum balances vary from bank to bank, but if your account falls below a certain specified sum, some banks levy charges for not maintaining the balance. Contact us so we can assist you thru the whole procedures and arrange all necessary paperwork for you all in one go. We are a UK registered company with a tax free mutual trading association status. All of our Directors (4 no.) are non UK residents, they hail from USA, Mexico, Philippines and Malaysia. As the General Manager I am a UK citizen but currently do not live there. We are urgently searching for a bank account that we can open without all of our Directors having to visit the bank due to the logistics and costs involved in arranging such a visit. Our present bank acct location is in HSBC in Kuala Lumpur and so we are seeking for a new company bank account, preferably with online facility. I look forward to hearing from you at your earliest convenience. We can help you with bank account opening without making a trip to Singapore, but it may take longer in the process, depending on the complexity of company’s structure. Would it make the process any faster if we could have 2 Directors out of the total of four to attend personally at the bank in SG? We would be able to arrange for the Directors form Malaysia and Philippines to visit in the bank personally, together with myself and all three of us would be the signatories. Obviously we would be able to provide a Notarised Board resolution etc to support this. We are keen to open the SG bank account by the fastest possible means. I would like to open a bank account in Singapore for our HK consultancy firm. Can you assist us with it? Yes, we can assist you with opening up a corporate bank account in Singapore. Below is a few list of major Singapore banks. Please let us introduce our representative to you. You will be in touch shortly. We are a Indian owned coy setup in Nigeria. We are into exports of agricultural commodities to Vietnam/India and Metal Exports to Korea, need to setup offshore company bank account in Singapore. Pls let us know most economical and easy method of doing so. We can assist you to set up a company bank account in Singapore. Please let our representative get in touch with you shortly. My company is registered in Hong Kong and dealing with Canada customers, Company want to open an offshore current account in Singapore. Kindly advise what documents need to prepare and which bank do you prefer, Thanks in advance. If you wish to open a corporate bank account in Singapore, most banks will require the authorized signatories and directors to be physically present during the account opening. They will require paperwork as well, including memorandum of articles and resolution of board of directors among others. Greetings from Medan ,Indonesia,I am Eddy Alamsyah Putra As a Director Represent from CV.UNIVERSAL SEJATI JAYA PERKASA ,may I get Your Assistance how for Me can Open a Bank Account at Bank in Singapore? Many Thanks and Appreciated for Your Upfront promft and Reply.. Absolutely, we can assist you with opening up the corporate bank accounts in Singapore. Singapore is one of the safest place to manage your funds. Our specialist will get in touch with you shortly. Hi, I have a Delaware company with no bank account and I want to open a bank account in Singapore. My partner and I we both are Argentinean no US person and the company director it is my partner so no US person involved in the company. Do you think it is possible to open an account or we should look for other countries? My business is registered in Malaysia and dealing with Singapore customer, due to this how can I open a current account in Singapore. Basically need the account for Customer pay in Cheque payments monthly. Please advise me what documents do we have to prepare and which bank shall I proceed normally we receive cheques from OCBC and DBS. Thanks in advance. A foreign company will have difficulty in fulfilling the bank’s compliance check list hence bank account is not successfully open. Therefore, it is advisable to register a Singapore company. Do contact us for more information. We also have a sales office in KL, Malaysia. We are based in Australia where providing a training services for Asian client and we would like to open an offshore company with a Singapore business bank account. It is our speciality to incorporate and setup an offshore company for foreign setups. My Colleagues will email you. Do contact us soon. I have a Marshall Islands international business corporation with certificates of incumbency and good standing. I would like to open a bank account in singapore for the company, with good internet banking. Is this possible and if so what are the requirements and costs? Thank you. I am a foreign national and will like to register a company/open an account in Singapore. What is the average time taken to open a company bank account in Singapore? It takes about 3 working days to a week depending on individual foreigner requirements. Should you take up our incorporation package, we have it (incl opening of bank account) all follow up and cover for you as well.